After walking around and photographing the Strasburg Railroad from across the highway on a very cold and windy morning, I decided to warm up and visit the Pennsylvania Railroad Museum. 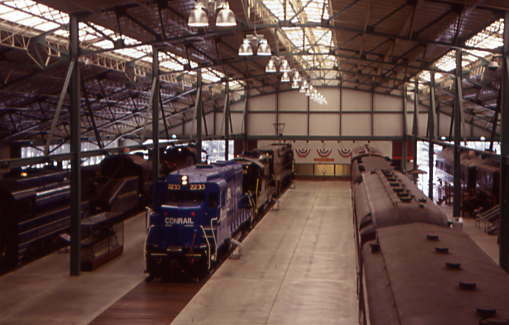 I went inside the front door, paid my fare and went inside the Hall of Railroading to start my tour. Pennsylvania Power Light Company 0-8-0F. Coudesport and Port Allegheny snowplow. Olomona 0-2-0 1883 from Oahu. Moore, Keppel and Company Climax 4. Next, I walked across the bridge in the middle of the museum for some views looking down. General views from the bridge. I wanted to go outside to see the rest of their collection but the door was locked. I went back to the front and was told the person who mans that door was on his way and I went in search of him. On the way there, I photographed Lewisburg, Milton and Watsontown Railbus 20. No one was at that door so I walked all the way back up to the lobby where I found the door man. We walked back through the museum and he let me go outside. Pittsburgh and Lake Erie Caboose 508. A Broadway Limited Observation Car. I went back to the door and received permission to go photograph the rest of their collection beyond the roped-off area. 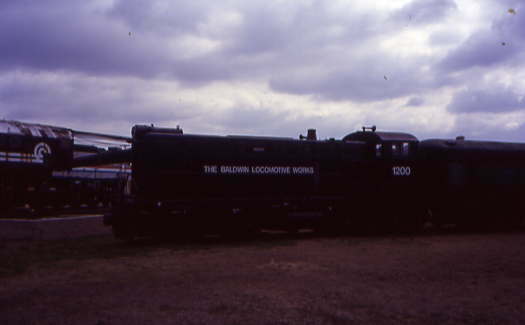 A Pennsylvania Railroad GG-1 being painted. Maryland and Pennsylvania Railroad 81. Capitoliner 6 with SEPTA 2416. Pennsylvania Railroad 2-8-2 520. I thanked my host for letting me get these pictures before walking back through the building to the lobby and out of the front door. I still had four more locomotives in front of the building to photograph. Pennsylvania Railroad 2-8-0. This completes my coverage of this fascinating and completely interesting visit to the Pennsylvania Railroad Museum. Now it was time to walk across the highway to ride the Strasburg Railroad.